All Heart Fitness: So proud of my husband! One year ago this past Saturday, giving it all I had, I ran a 23:22 at the Heart Walk 5k and felt like death when I crossed the line. 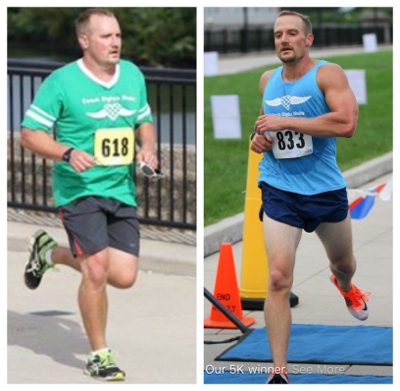 This year, 46 lbs lighter, I breezed through the same 5k nearly 5 minutes faster at 18:39...and felt like I could have gone faster!